Hey everyone! Hope you are well! If you read my last post (now deleted) you will know that I haven't really had a lot of motivation when it comes to blogging due to personal reasons and also being really busy at work as well. I have really missed blogging and I have just wanted to sit down and type up a post but every time I do there's just been that lack of motivation. I recently had a talk with my best friend and it gave me that push I need to not quit my blog but to carry on as it is something I love doing and is something that makes me extremely happy. I feel like this is me starting my blog afresh and as an introduction to the new happier positive me I wanted to write a post listing all the reasons as to why I even started blogging in the first place as I think this is a lovely reminder to look back on in times where you might feel a little lost or down with blogging in general so before I ramble on even further (we all know how much I love a good ramble) here are my four main reasons as to why I started blogging. I've always loved to write. I've kept journals from a young age and I've actually written a few short stories in the past as well which I've done nothing with yet but I've always enjoyed writing whatever pops into my head. Having a blog has definitely kept up that passion of mine as I absolutely love it. 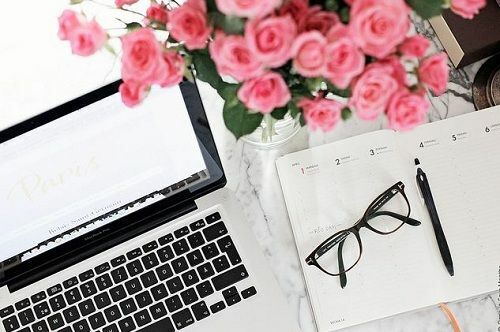 I think if you love writing then starting a blog is absolutely perfect for that as it's a perfect way to share your ideas, thoughts and opinions on different subjects that not just you are passionate about but also other readers who may come across your blog. If there's one thing I wanted to do when I was blogging is to make sure that I joined part of a very like minded community and I must say I wasn't disappointed. Some of my favorite bloggers are my favorites because they like the same things I do for the same reasons or they just post about things that I am interested in but don't know much about and can therefore learn about. I just loved being part of a community where nobody really judges each other. It' such a supportive community and it's one I definitely do not want to leave. I guess this sort of links to the point I made at the end of the last point about people not really judging each other. One of the main reasons I started blogging even though I was absolutely terrified to was so that I could finally be myself. After seeing the success of other bloggers I realised it could be a place where I could just share my love for all things beauty related and share other things I enjoy too like music, fashion, food as well as sharing things that I've been up to such as going to concerts and outings with friends too. It's just a space where I can sit and write about anything I want to as well as share all my photos as well. So there we have it, just a few small reasons of why I blog. I really enjoyed writing this and I hope it gives a little bit of inspiration for those of you out there who are perhaps struggling with blogging at the moment and might need a little bit of a push or inspiration as to why you should keep on going. This is definitely a post that I will be referring to a lot whenever I'm feeling down and upset and I hope this post has made you think of reasons as to why you starting blogging as well. I agree with Dani Martin! I started my blog as my own little happy place and whenever the going gets rough, turning to my blog inspires me and also forces me to look at all the wonderful things I have going on! The number one reason I started my blog was to motivate, and better myself as a person, but also to appreciate things in life I often take for granted. It's a nice little reminder to stay in the present! I love your musings!